Standards and the development of examinations for the credentialing and licensing of professionals working in prevention, substance use treatment, and recovery is the responsibility of the International Certification and Reciprocity Consortium (IC&RC). IC&RC has 73 member certification and licensing boards throughout the world. Each Member Board is an independent entity and establishes their own processes, rules, fees, and eligibility requirements. Before registering for the ADC exam, you must go to the IC&RC website to determine how to contact your local member board. Your local Member Board will establish your eligibility and approve you to sit for the ADC exam. Because each Member Board sets their own eligibility requirements and fees, they can vary from region to region. Once eligibility is confirmed and approved, you will receive a Candidate Admission Letter. Where do I take the ADC exam? All tests are administered by ISO-Quality Testing, Inc. which has locations throughout the world. On test day, all candidates are required to provide their Candidate Admission Letter and a valid, government issued photo ID. What can I bring into the examination room? Candidates are not allowed to bring anything with them into the testing center. Scratch paper is provided. What is the format and length of the ADC exam? All candidates will have 3 hours to complete the computer-based exam which contains a total of 150 multiple-choice questions. Each question will have 3 or 4 answer options. There is only one correct or best answer. Only 125 of the exam questions are calculated in the final score. The remaining 25 items are pre-test questions being considered for future exams and are not used in calculation of the final score. These pre-test questions are scattered randomly throughout the exam and are not identifiable so all questions should be read and answered carefully. What is the content of the ADC exam? The exam questions fall into 4 performance domains. The final exam score is based on the total number of questions answered correctly. All questions should be answered since there is no penalty for incorrect answers. A minimum score of 500 is required to pass the exam. All candidates will receive a preliminary score immediately upon completion of the exam. Official score letters will be distributed by the candidate’s designated IC&RC Member Board, usually within 2-3 weeks. The score letters will contain the official final exam score and a breakdown of the percentage of questions answered correctly in each content domain. What if I don’t pass the exam? If a passing score is not obtained, the candidate will typically be required to wait a minimum of 90 days to retake the exam. Individual IC&RC Member Boards may require a longer waiting period. Candidates should contact their local Member Board to verify the waiting period and to reschedule the exam. What is the most effective way to prepare for the ADC exam? The ADC exam is a content-driven test which means it is based on what you know. That is good news because adequate preparation will ensure success on the exam. Of course, high quality study materials is the key. Mometrix has developed the Alcohol and Drug Counselor Exam Secrets Study Guide and the Alcohol and Drug Counselor Exam Flashcard Study System. The test experts at Mometrix have taken the hundreds of critical concepts you must know to be successful on the ADC and put them in a study guide and in flashcard form. When you order our study guide or flashcards, we will also include ADC exam practice test questions, study secrets, and a special report on how to overcome test anxiety. Our Alcohol and Drug Counselor Exam Flashcard Study System includes all the critical concepts you need to know on professional quality cards you can easily carry with you wherever you go. Learning with flashcards is fast and easy to pick up and study whenever you have a few extra minutes. We are so confident that our study materials can help you succeed on the ADC exam, we offer a 1-year money-back guarantee. Our money-back guarantee ensures that you have nothing to lose and everything to gain by ordering our flashcards or study guide today! Mometrix Academy is a completely free Drug and Alcohol practice test resource provided by Mometrix Test Preparation. If you find benefit from our efforts here, check out our premium quality Alcohol and Drug Counselor study guide to take your studying to the next level. 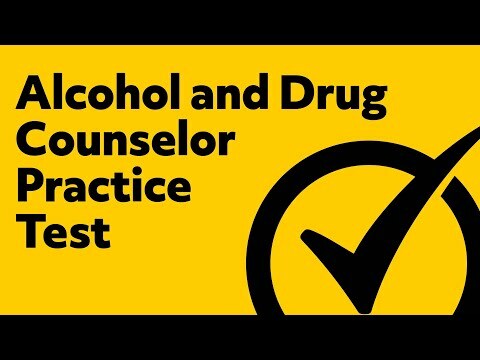 Just click the Alcohol and Drug Counselor study guide link below. Your purchase also helps us make even more great, free content for test-takers. Our customers love the tutorial videos from Mometrix Academy that we have incorporated into our Alcohol and Drug Counselor study guide. The Alcohol and Drug Counselor study guide reviews below are examples of customer experiences. I feel more confident that I am studying material that is related to the ADC exam . I also like the way it categorize subjects and topics and is easy to read and create an outline. My favorite part is that it explains why the answer is the answer on the practice test this definitely has helped tremendously. I like that it breaks the material down into categories, and uses simple language to help those studying better understand the material without having to sort through loads of jargon. It also breaks down the material into categories for each of the 12 Core Functions which is crucial to studying, learning the information, and passing the test! Very comprehensive and certainly all the facts one would need to pass this test. I find it easy to study the information by the way you have the book arranged and the way in which the material is broken down. This allow me to better obtain the essence of each core function. Your study Guide is just adequate for my needs. I get the connection between the study material and the likely examination questions. This is what I am unable to achieve since I started preparing for the examination. The questions and the possible answers with explanations are very helpful. This book for study guide it is an excellent source of information about the exam that I have to present, very easy to understand and clear to follow. This book is excellent for individuals who have not taken a standardized exams. It also gives tips on how to prepare and the main subject headings to pay attention to. I really like this book because it gets to the point of the exam and allows for a clearer picture of what is going to be on the test to prepare accordingly. Learn more about the Mometrix Alcohol and Drug Counselor Secrets Study Guide. Learn more about the Mometrix Alcohol and Drug Counselor Flashcards.